"Before Amarillo had a hospital, it had precisely four nurses. 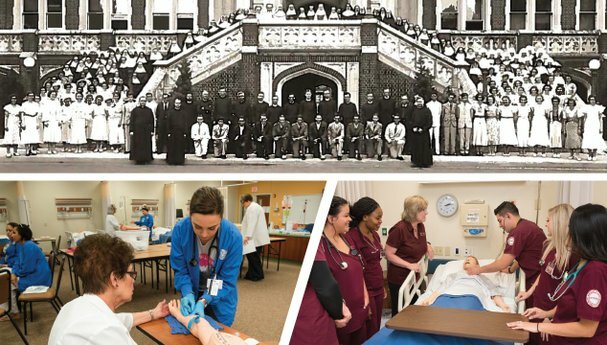 And had those four nurses not arrived when they did, the city might not even exist..."
In the October issue of Amarillo Magazine, I had the opportunity to write not only about the history of nursing in Amarillo—it's a fascinating story that involves a typhoid outbreak and nuns named Cleophas, Eugenius, Winifred and Conrad—but also about the current state of nursing education. I was impressed by the passion of local nursing educators at Amarillo College and West Texas A&M University. This was a complicated story with a ton of interviews and research, but as usual, it left me impressed by the people I had the privilege of talking to. Read "Municipal Health" here.